The John C. Birdlebough High School auditorium was filled to capacity on Dec. 10 as middle school musicians performed holiday songs during the winter concert. 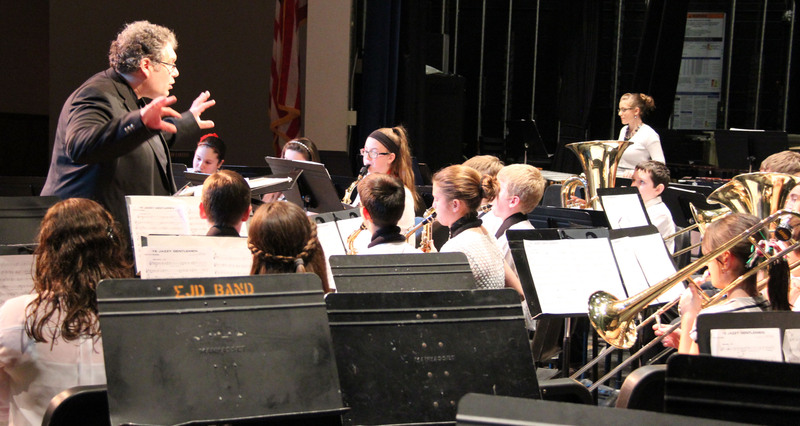 Holiday music fills the air inside the John C. Birdlebough High school auditorium on Dec. 10 as the middle school jazz band performs “O Holy Night” under the direction of James DeMauro. Under the direction of James DeMauro, the Emerson J. Dillon jazz band opened the evening with “Ye Jazzy Gentlemen” and “O Holy Night,” bringing the crowd to its feet with the festive music. 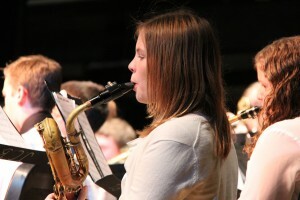 Emerson J. Dillon Middle School student Caitlin George performs holiday music with the jazz band Dec. 10 inside the high school auditorium. 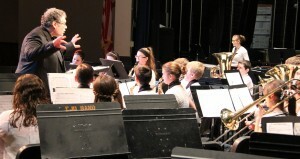 The Phoenix Central School District is on the list of Best Communities for Music Education, as determined by the National Association of Music Merchants Foundation. The foundation is a nonprofit organization geared toward advancing active participation in music making across the lifespan by supporting scientific research, philanthropic giving and public service programs from the international music products industry.